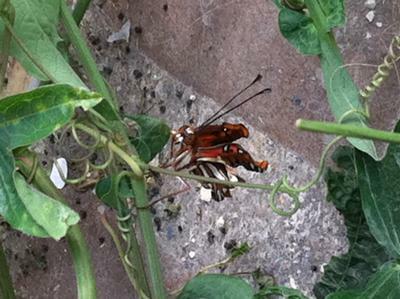 I have been waiting for about 10 days for the passion butterfly to emerge from it's chrysalis on my porch. There were 2 of them and one already had emerged a few days ago. Yesterday morning I saw a wasp attached to the chrysalis and the chrysalis was moving. I shooed the wasp away and left for a half hour. When I returned the butterfly had come out and was hanging on a branch below the chrysalis. For the next 2 hours I watched (on and off) as it tried to pump it's wings or I'm assuming dry them. It was fluttering and trying very hard to fly but couldn't. I left for a few minutes and when I came back I saw a wasp on top of it again! I got the wasp away- but it seemed to have done it's damage and the poor little creature was not doing too well. I scooped it up so it was safe but it died in my hand. I know it's silly but this was so devastating. I had seen it as a caterpillar and then in it's chrysalis. So- my question is- why wasn't it able to fly? Could the wasp have punctured the chrysalis too early? Were the wings not dry or torn? Or could the wasp have stun it? I'd just like to have some peace with what exactly happened- knowing that I did my best to protect it- but what I could possibly do in the future if there were ever to be another one on my porch. 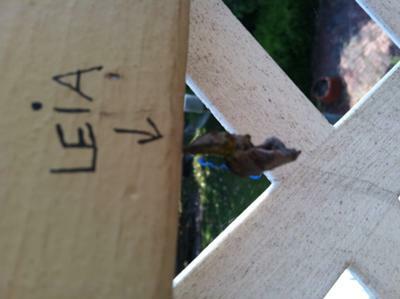 Leia, sorry about your Gulf Fritillary. It sounds like it could be a parasite problem. I know with monarch butterflies that a caterpillar can be host to the larva of a fly or wasp. It is sometimes difficult to know exactly what happened and when (it could be infected in most of the stages). Don't worry, you didn't do anything wrong. If you have some equipment you used (cage, etc.) make sure and sterilize it with a 20% bleach solution.